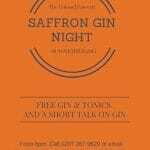 Double whammy gin tasting! - What's Katie Doing? 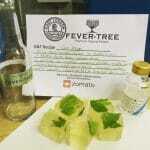 November was the Oliver Conquest’s 4th birthday so it seemed fitting to have back to back gin tastings! 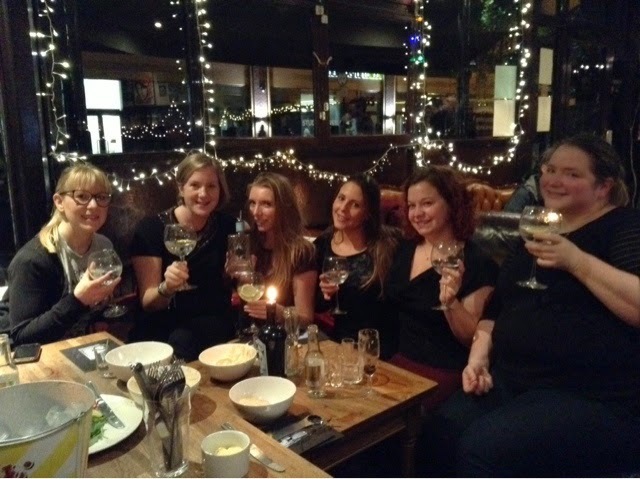 Gin Club with a Reading Problem was well represented at both. We were talked through the whole process of setting up the distillery, Felix, Cicely and their brother & sister are lucky to come from a brewing family which meant lots of support and the ability to make their own base spirit – basically a very pure vodka. This is then flavoured to make it into gin (all gin has to have juniper in it – that’s the only criteria!). The siblings use vapour infusion, this with the pure base spirit creates a delicate flavouring. The Carter Head Still used at Sibling. So can you guess what the main botanticals it’s flavoured with?! 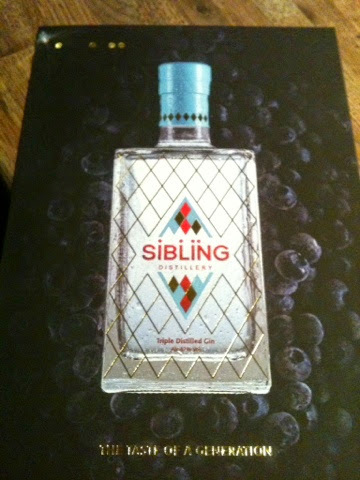 The dots in the logo represent the 4 siblings who make this gin – Digby still can’t drink it as he’s under 18! The key botanticals are blueberries and vanilla – only the best of course! 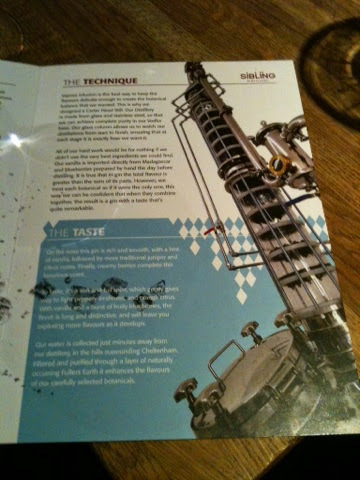 This is not a traditional dry gin – so a different taste in a G&T, but one that Gin Club with a Reading Problem loves! The high quality base spirit means this is smooth and rich. I get the blueberry and vanilla as a hint of chocolate, and then I can taste the citrus notes also, very distinctive. As anyone with siblings would know, the main challenges Felix & Cicely talked about was working with their sisters & brothers as well as the family in general. They admit this is difficult and not something that everyone can do! 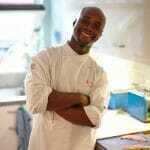 They say it works best by finding what each person is good at and utilising this to their best advantage and separating family and work, no work talk over dinner! 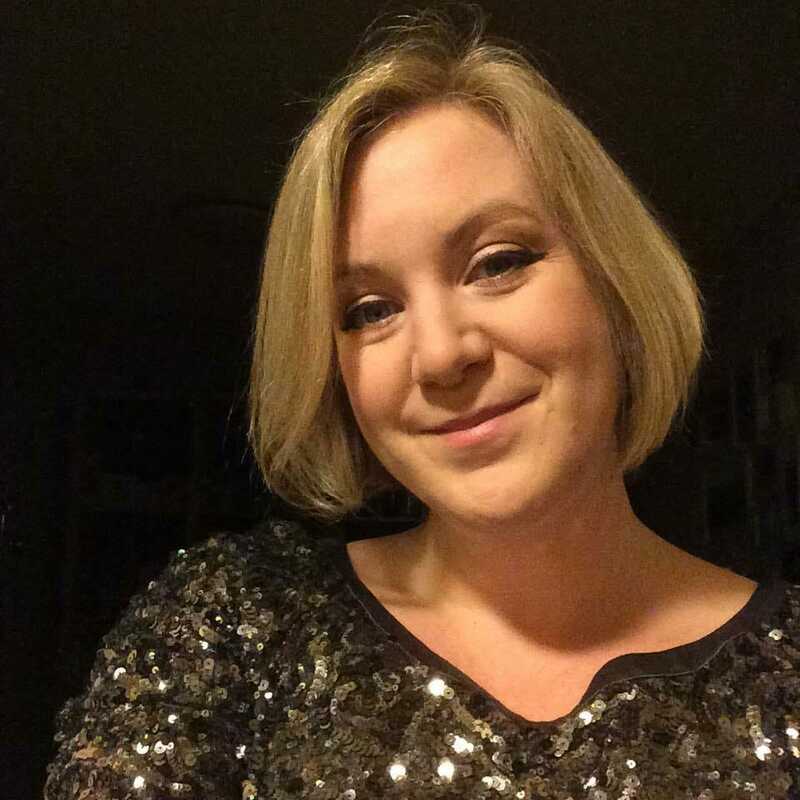 Cheers from Gin Club with a Reading Problem! 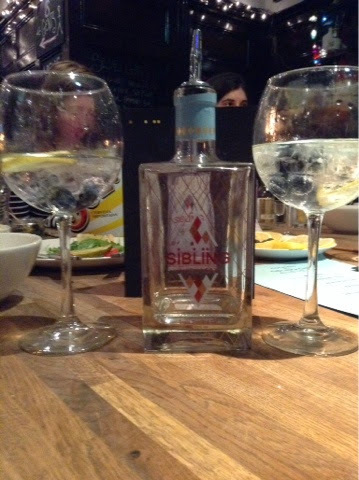 As you can see Gin Club is currently all girls – now does this make Sibling a ‘girls’ gin?! 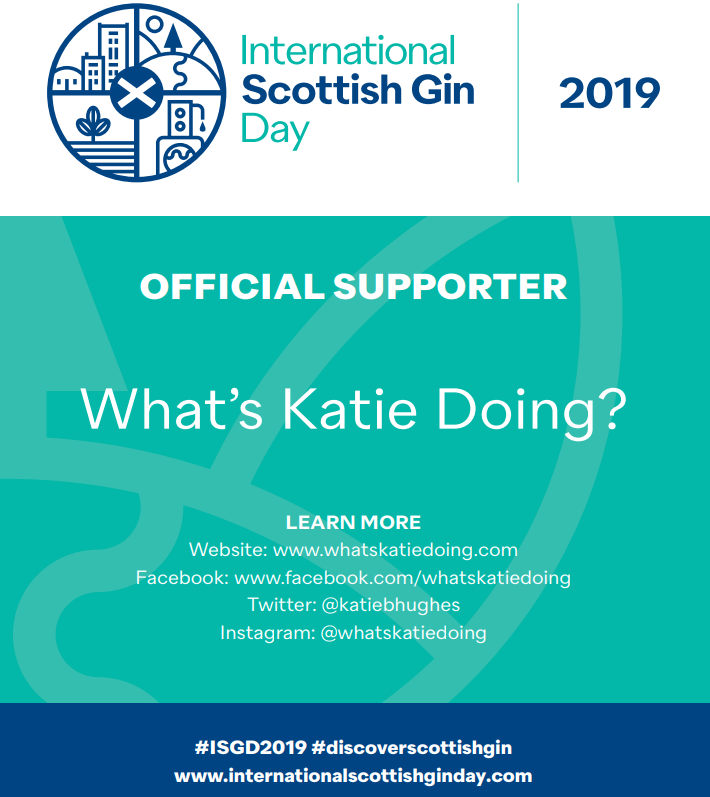 I don’t think so, however not everyone loves it as much as I do, given that it’s not traditional – but that’s what the current gin revolution is all about! Yes I caught Eric unawares in the background! 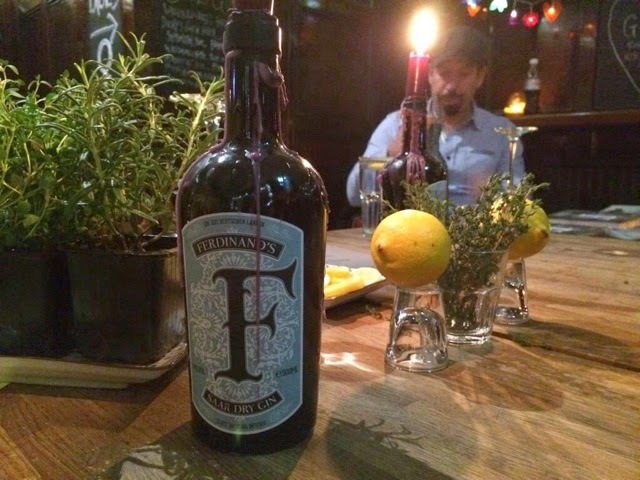 Ferdinand’s is named for the Royal Prussian District Forester Ferdinand Geltz, a co founder of one of Germany’s vineyards and a key ingredient – their favourite! 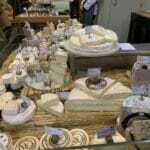 – is the famous Riesling wine from that region. They infuse the Riesling in the gin before dilution down to drinking strength (after distillation gin is 90% alcohol so needs ‘watering down’ to 40%, the water is quite important!). Eric says they tried lots of different combinations – using dry wine instead of the sweet and also the gin with more wine in it, but balance is key. Whilst the gin with more wine was good to drink neat it didn’t work with tonic, which is the main way people drink gin – you can’t cut yourself out of the main market! 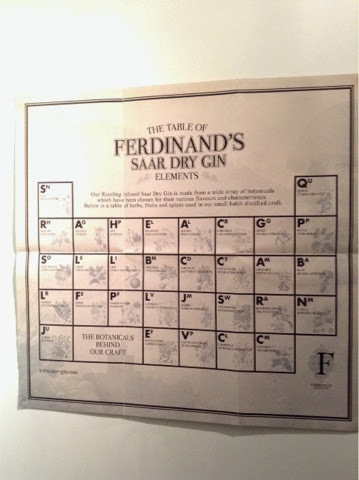 The composition of this gin is quite complicated with 30 different botanticals. This reminds me of Monkey 47 with, you guessed it, 47 botanticals, another German gin. 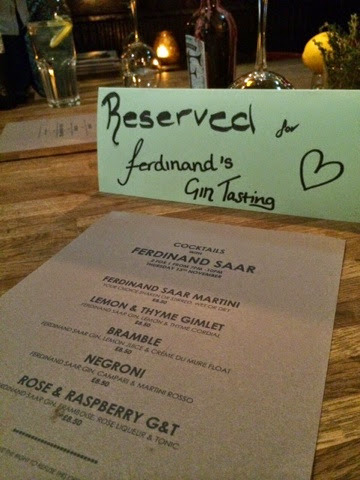 The key flavours of Ferdinand’s are the lavender and other floral notes. We drank it garnished with lemon and thyme – they add lemon thyme as one of the botanticals so this brings out that flavour. 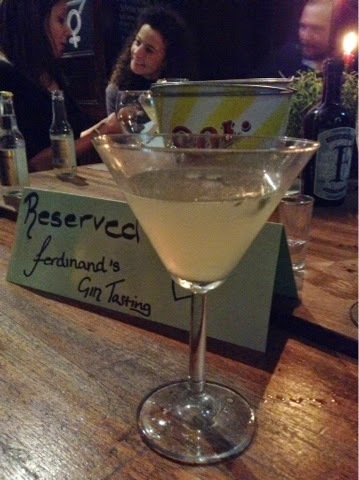 Yes this is the Ferdinand’s martini, garnished with thyme – delicious! 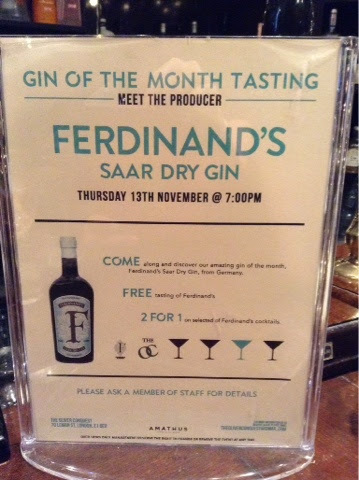 If you want to come along to the next tasting, gin of the month for December is Half Hitch, which I’m very excited about as it’s from Camden! You can join us at 7pm at The Oliver Conquest on Tuesday 16th December to try this one and meet the maker, Mark Holdsworth. 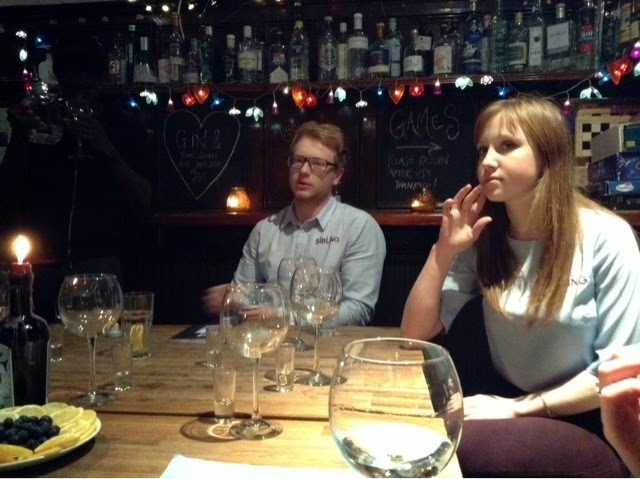 You can read about the previous gin tasting of Greenhook gin here!